Just look what I found in a charity shop, a pretty little dollie from Monsoon. It looks as if someone had a go at making her but lost interest just the sort of project I love. 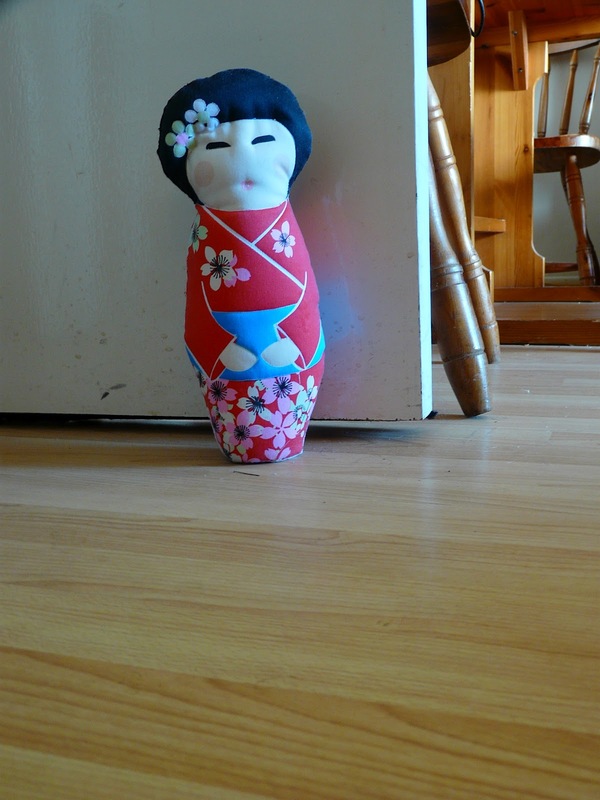 Now I don’t really need a doll, but I thought she would make a lovely doorstop. 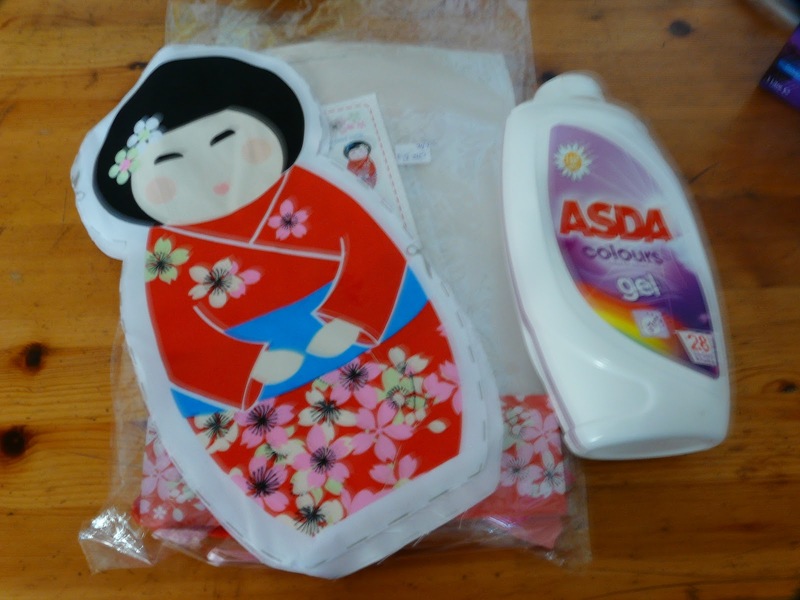 I used the soap powder bottle as a way of giving her a bit of stability and filled it with salt to add weight to so she can hold the door open. It was such a lovely little project to work on and she does do a grand job, don’t you think?